The City has a zoning ordinance in place for all business and homes, this is mapped in the City Zoning Map. You can find more information about this below. Scottsboro has Subdivision and Site Plan regulations in place for any new building taking place in the City. You can find out more about this below. Keeping our history intact is always a major priority for Scottsboro, that's why we have a historic preservation ordinance. Click below to find out more. 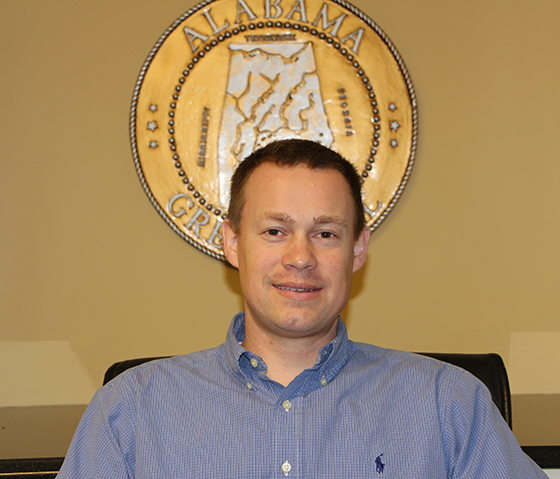 As City Engineer, Josh Little, is the facilitator for the Scottsboro Planning Commission, Board of Zoning Adjustment, Architectural Review Board, and Historic Preservation Commission. The engineer formulates long-range plans and provides recommendations to the Street Department, the Mayor, and the City Council regarding planning and zoning. The office maintains plots, maps, drawings, and records of actions concerning zoning, environmental impact, and other areas sensitive to legal and internal/external historical review. The City Engineer provides engineering expertise for all city construction projects. This includes their design, construction, maintenance, and adherence to city building codes and professional engineering standards. Performing inspections of Scottsboro bridges that are registered with the Federal Highway Administration through ALDOT is an example of the type of Oversight the City Engineer is responsible for. Our City Engineer coordinates with developers on zoning of properties, subdivision rules and regulations. The engineer also helps public works projects including road construction, walking trails, drainage. These are just a few of the ways that our City Engineer is working for Scottsboro everyday.